In Case you Didn’t Know- It’s Waylon Appreciation Month! Last year on June 15th, Grant and I celebrated Waylon’s birthday by making a dinner of all his favorite foods which included chicken fried steak. (Yeah, I’m a proud superfan.) This year, being his 75th Birthday, we celebrated by going to several Waylon Birthday bashes all around town. It all started for me when my friend Allison and I drove down to our dear friend, Nikki’s restaurant, Normandy River Cafe, which is right near the pristine Duck River and around the corner from The Dickel Distillery. Nikki is one of the most amazing people I have ever met and she has poured so much love into this restaurant. Her brother Mike is the pit master. These two Texans serve up a good meal. They also have live music in the cafe most Saturday nights which is why Allison and I made a special trip a couple weeks ago. We saw members of Waylon’s band in their own band, Waymore’s Outlaws. It was incredible to see Richie Albright right there in front of me pounding out that cut-time beat Waylon’s songs are famous for. 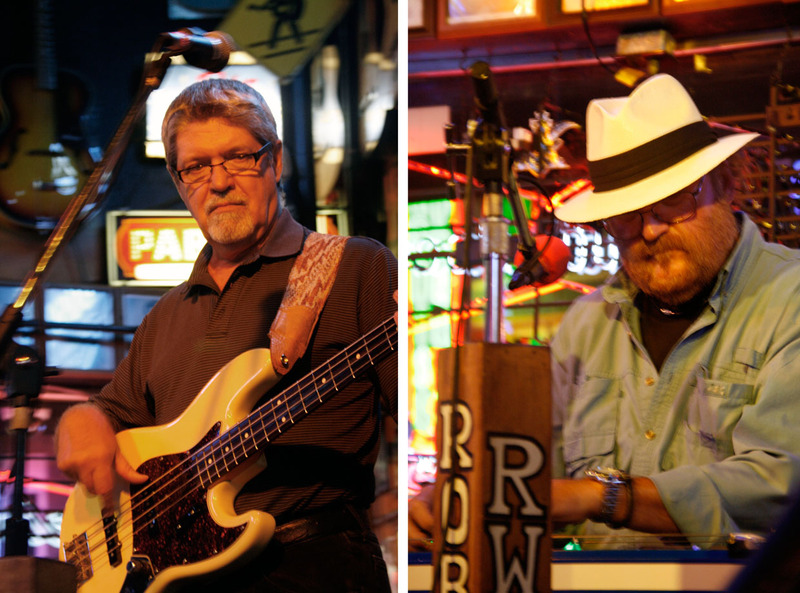 Also great were bassman Jerry “Jigger” Bridges and steel guitarist Fred Newell. Tommy Townsend plays lead guitar and sings. He does a good job of delivering Waylon’s songs in his own voice. I swear during one song, I felt Waylon’s presence. He would have been proud. It was a great night of music and delicious food. 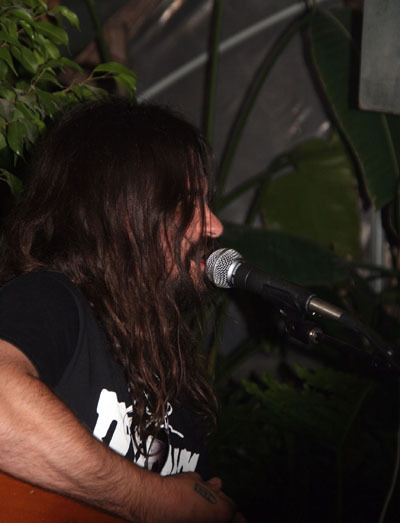 Under all that hair, is one Shooter Jennings. I wasn’t in a good spot for photos but you can see more here. The next week, Shooter hosted a Birthday bash for his Dad at the Greenhouse bar in Green Hills. We heard songs from Leroy Powell, Whitey Morgan, Leroy Virgil of Hellbound Glory, our buddy Sturgill Simpson, Jamey Johnson, and Shooter himself. It was a fun night. All of the musicians played some of Waylon’s hits and a few songs of their own. 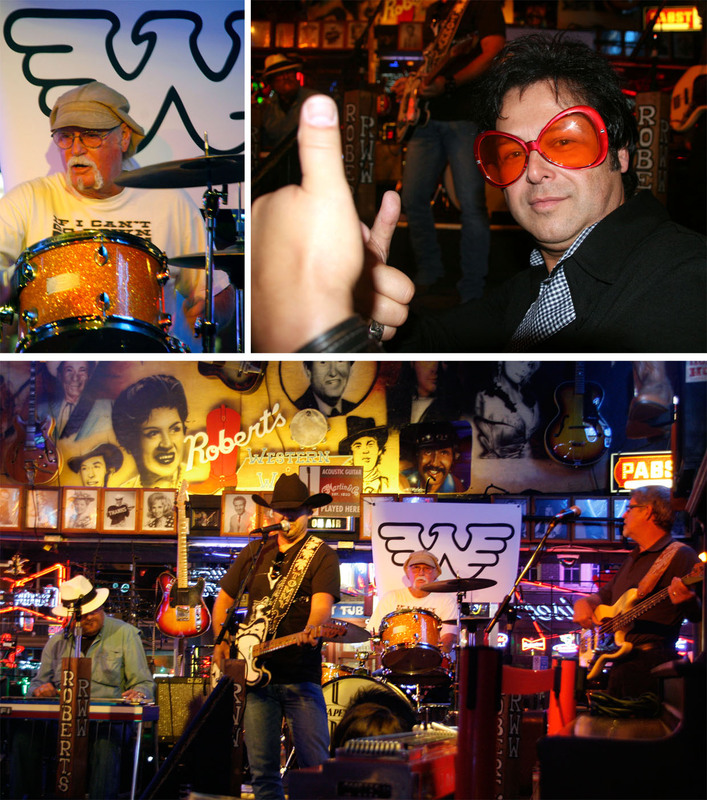 Then a couple days after his Birthday, on Father’s Day, Robert’s Western World hosted a Waylon Birthday Party and raised money for The Waylon Fund for Diabetes Research. All contributions to the fund went to the Translational Genomics Research Institute (TGen), one of the nation’s premier non-profit biomedical research institutes. Once again, Waymore’s Outlaws played. It was so awesome to see them up there on that stage. Richie Albright, Jesse Lee Jones (owner Robert’s), Waymore’s Outlaws at Robert’s Western World June 17, 2012. No Chicken Fried Steak this year however, as usual, we have been cooking many meals listening to our favorite Waylon tunes. Here’s some highlights from last week. Grill the asparagus and peach halves. Set aside. In a small saucepan, cook vinegar with brown sugar and pepper. Bring to a boil and then simmer until it begins to get slightly thicker (20-30 minutes). 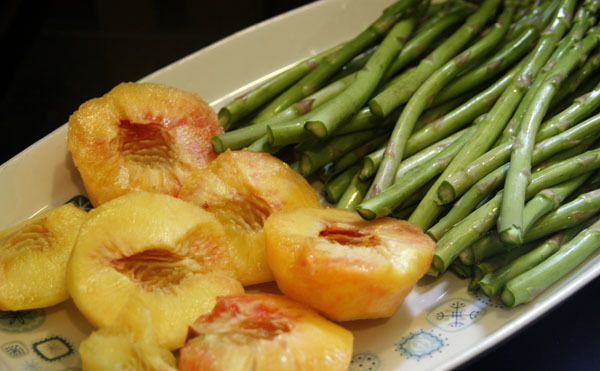 Arrange grilled asparagus and peaches on a plate (I cut both down a little so they would be easier to eat.) and sprinkle with crumbled chevre and basil. Drizzle with vinaigrette. 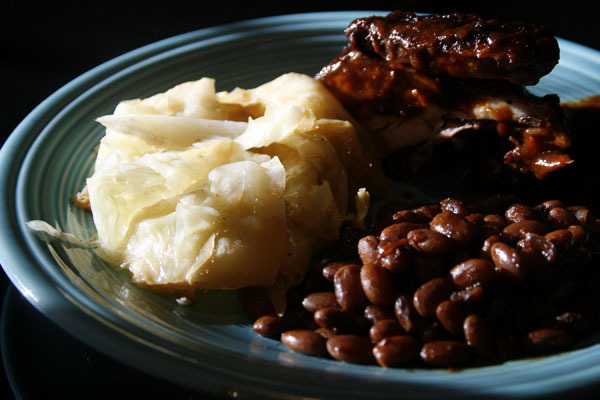 Another favorite dish of ours from the grill is this recipe for BBQ Cabbage. I believe Grant first got the idea from a Saveur magazine years ago. It goes really nicely with BBQ Chicken and Skillet Beans! 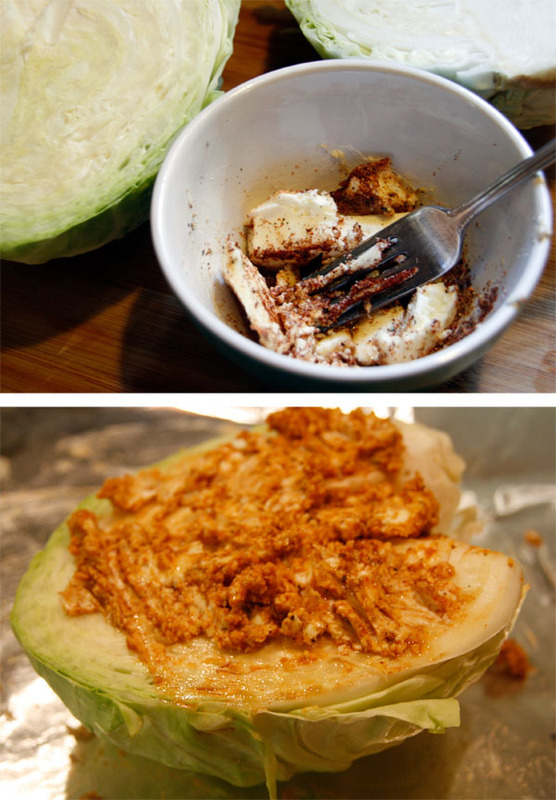 Make a compound butter paste by mixing together all the ingredients except the cabbage. Rub about a quarter of the compound butter on the outside of the cabbage and then rub the rest of the mixture onto the top side of the cabbage. 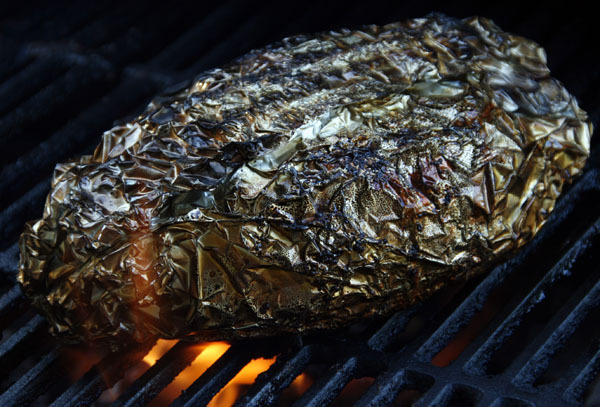 Wrap in heavy duty foil and then place on the grill indirectly over the heat and smoke for about 90 minutes with the lid down. The cabbage should be soft when you press it. Let sit for 10 minutes to cool and then unwrap and chop it well. Place in a bowl. Salt and pepper to taste, if needed. It might be good with hot sauce, too! Grant uses a chimney to start the lump charcoal and then adds soaked hickory chips! Now go listen to some Waylon and make a donation to The Waylon Fund for Diabetes Research.